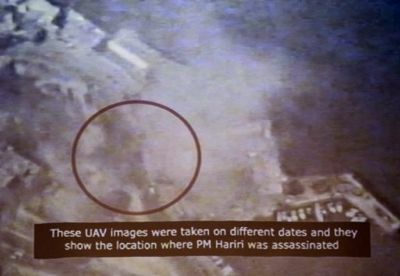 The Rafik Hariri Assassination: Was Israel Involved? 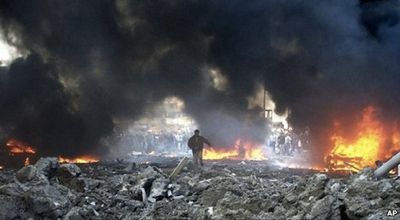 In any event, the indictment – which all believe to be imminent – against Shia leaders for the assassination of a Sunni leader is of such a nature as to spark off a fitna, namely a Muslim civil war, plummeting the region into new depths of bloodshed and violence. 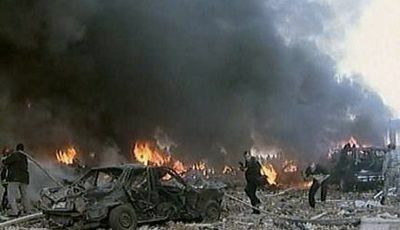 During his 15 and 16 November official visit to Moscow, Saad Hariri – current Lebanese Prime Minister and son of the deceased – reiterated that the political exploitation of the Tribunal exposes his country to the risk of a new conflagration. President Medvedev retorted that Russia wants Justice to be served and reproves any attempt to discredit, weaken or delay the Tribunal’s proceedings. This position of principle arises from the confidence that the Kremlin decided to place in the STL. But it risks being severely eroded by Odnako’s revelations. Having been established to compensate for the Lebanese lack of professionalism, one would have expected the United Nations mission to scrupulously observe the classical criminal procedures. Not so! The crime scene – on the basis of the topography still intact as well as the photos and video footage shot on that day – was not examined in detail. The victims were not exhumed and no autopsies were performed. For a long time, no attempt was made to ascertain the modus operandi. After discarding the hypothesis of a bomb buried in the ground, the investigators espoused the one involving the van withough bothering to verify it. Such observations constitute the abc of any criminal inquiry. They should have been the starting point, yet they do not figure in any of the reports submitted by the “professional experts” to the Security Council. Technically speaking, the weapon is shaped like a small missile, a few tens of centimeters long. It must be fired from a drone. Actually, several witnesses assured they had heard an aircraft flying over the scene of the crime. The investigators asked the United States and Israel, whose surveillance satellites are permanently switched on, to provide them with the pertinent images. On the day of the attack, the United States had deployed AWACS aircraft over Lebanon. The live feeds could help to establish the presence of a drone and even to determine its flight path. But Washington and Tel Aviv – which indefatigably urge all parties to cooperate with the STL – turned down the request. Hence, it is easy to understand why former Berlin Attorney General Detlev Mehlis – a very controversial figure within his own profession – was eager to preside the UN Investigation Commission. He is, in fact, notoriously linked to the German and U.S. secret services. Assigned in 1986 to shed light on the attack against the La Belle disco in Berlin, he diligently covered up all Israeli and U.S. fingerprints to falsely accuse Libya and justify the bombing of Mouammar Khadafi’s palace by the U.S. Air Force. In the early 2000s, Mr Mehlis was lavishly paid for his stint as researcher at the Washington Institute for Near East Policy (think-tank linked to AIPAC, the pro-Israel lobby) and at the Rand Corporation (think-tank attached to the U.S. military industrial complex). All elements which cast a shadow over his impartiality in the Rafik Hariri affair and should have sufficed to have him taken off the case. 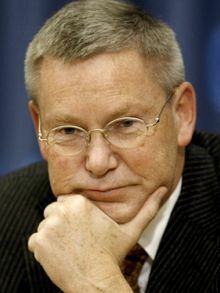 Mehlis was seconded by Commissioner Gerhard Lehmann, who is also a well-known German and U.S. secret services agent. He was formally identified by a witness as having taken part in the programme run by the Bush Administration in Europe, involving the abduction, detention and torture of prisoners in “black holes”. His name is mentioned in the ad hoc Report by the Council of Europe. Notwithstanding, he managed to dodge all judicial proceedings on the strength of a strong though unlikely alibi provided by his colleagues in the German police. Based on these false testimonies, Detlev Mehlis arrested – in the name of the international community – four Lebanese generals and had them incarcerated for four years. Pushing his way with his cow-boys into private homes, without a warrant from the Lebanese authorities, he also detained for questioning members of their entourage. With his assistants – who spoke Hebrew to each other – he manipulated the families. Thus, on behalf of the international community, he showed the wife of one of the generals a doctored picture to prove that her husband had not only obscured his implication in the murder, but was also two-timing her. Concurrently, he tried the same maneuver on the son of the “suspect”’, but in this case to convince him that his mother was a woman of loose morals, a situation which had plunged his desperate father into a murderous folly. The aim was to induce a family crime of honour, thereby tarnishing the image of respected and respectable people. 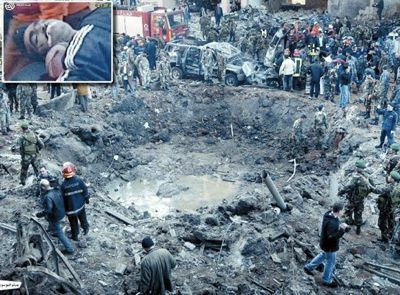 Moreover, German journalist Jürgen Cain Külbel highlighted a disturbing detail: it would have been impossible to trigger the explosion by remote control or by marking the target without first disactivating the powerful interference system built into Rafik Hariri’s convoy. A system among the most sophisticated in the world, manufactured in … Israel. In more prosaic terms, the Tribunal is shirking its responsabilities. On the one hand, it must judge the false witnesses to thwart further manipulations and to make plain its impartiality; on the other hand it refuses to undertake a “clean-up” operation which might force it to arrest Prosecutor Mehlis. However, Odnako’s revelations on the German lead render this posture untenable. All the more since it’s already too late: General Jamil Sayyed filed a complaint in Syria and a Syrian examining magistrate has already indicted Detlev Mehlis, Commissioner Gerahrd Lehmann plus the five false witnesses. 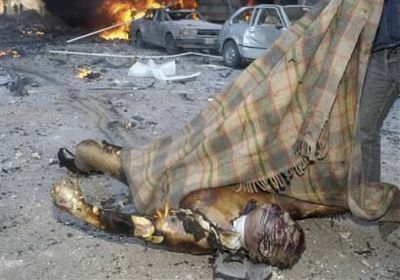 One can imagine the commotion at the STL should Syria decide to call on Interpol to have them arrested. As pointed out by Kofi Annan, this Tribunal is not analogous to any other so far created within the purview of the United Nations. “It is neither a subsidiary organ of the UN, nor a component of the Lebanese judiciary system”; it is simply “a conventional organ” sitting between the executive authority of the Lebanese government and the UN. Judging by the international rule of separation of powers and independence of the judiciary, the STL cannot be regarded as a genuine tribunal, but rather as a joint disciplinary commission within the executive frameworks of the UN and the Lebanese Government. Whatever decision it may make will inevitably be coated with suspicion. According to the President of the Special Tribunal for Lebanon, Antonio Cassese, the armed resistance in Palestine, Lebanon, Iraq and Afghanistan should be tried for “terrorism”. Worst of all, Judge Cassesse personifies an interpretation of international law that causes division in the Middle East. 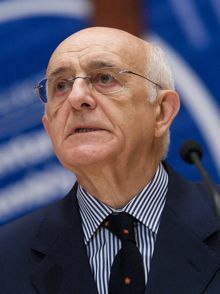 Although his official curriculum vitae obscures it, he took part in the 2005 negotiations between member states of the European Union and those bordering the Mediterranean Sea (“Barcelona Process: Union for the Mediterranean”). His definition of terrorism blocked the discussions. According to him, terrorism is exclusively the act of individuals or private groups, never states. It follows that a struggle against an occupying army would not be considered as “resistance” but as “terrorism”. In the local context, this juridical view is consistent with a colonial framework and disqualifies the STL. All these problems had clearly been foreseen by President Putin when, in 2007, he had vainly made a pitch for a different wording of the STL founding resolution. Ambassador Vitaly Churkin had denounced the “juridical loopholes” of the system. He deplored that the Security Council should threaten to resort to force (Chapter VII) to achieve unilaterally the creation of this “conventional organ”. He had emphasised that while the Tribunal should be working towards the reconciliation of the Lebanese people, it was devised in such a way as to divide them even more. Finally, Russia – as China – refused to endorse Resolution 1757.